Of all the Christmas traditions we have, the Elf on the Shelf is pretty high on our favourites list. We started the tradition four years ago and it’s one we all look forward to. This fun little addition to our holiday routine has provided on-going excitement, many laughs and morning Elf hunts. The novelty has yet to wear off and a lot of that comes from our Elf (Chris E) only spending 25 days a year with us. Over the past three Christmases, Chris E has delighted our children with his silly antics. He has also left small treats and notes on the true spirit of Christmas. In doing so, we’ve all experienced a bit of Christmas magic leading up to the big day! This year, we are looking forward to introducing a couple of new additions to the fun! First, Chris E. will no longer be flying solo (pun intended). We’ll be adding a second Elf, a girl. I’m looking forward to seeing what the two elves get up to as a pair. I know our daughter, Mairi will enjoy seeing a girl elf, too. We’re also incorporating the new, Elf Pets. Of the two options, a Saint Bernard and a Reindeer, we chose the Reindeer. He’ll be landing on December 1st with Chris E and his friend. Our (yet-to-be-named) Reindeer will add another component to the tradition; allowing our kids to hold their new cuddly friend and be inspired by the toy’s premise of being kind and participating in the spirit of Christmas. This message and idea is explained in the accompanying, hard-covered and beautifully illustrated book. Another fun compliment is the adorable Elf on the Shelf costumes! While it’s fun to DIY some neat accessories and outfits, the ones available for purchase - are so cute. We have a few options that we’ll be using throughout the next few weeks. You can check out the selection via the official website here. Start whenever! The first year our Elf came, he arrived two weeks before Christmas. While seasoned Elves typically arrive on December 1st, this is by no means a hard rule. We know lots of families that start the fun early and later then this. Make a plan. Yes, really. There are so many neat ideas all over the internet on funny things your Elf can do. Coming up with a list will take the guess work out of it (especially at 10pm when your creative juices aren’t likely to be flowing). Have your Elf engage your kids. Requests for help with holiday prep, a reminder to do good gestures and simple games/crafts left out can all be the initiative of your Elf. Set a reminder. On your phone for each evening. Mix it up. Keep some nights more simple than others. Come up with a unique hashtag for your Elf. This idea was shared with us and we love it. With your own hashtag, sharing on social media will allow you to look back on previous years’ activity with ease. 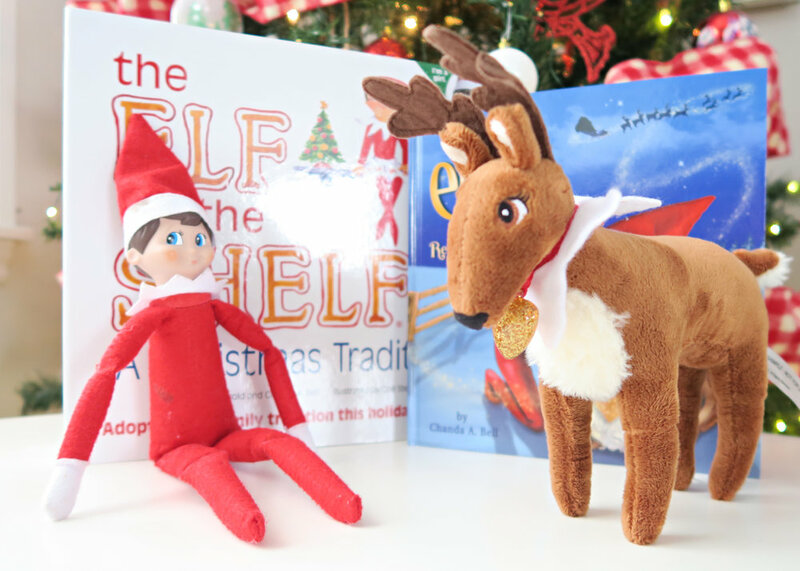 We’ll be sharing all of our Elf on the Shelf fun through our social media. Expect daily Elf photos on Instagram and cameo appearances in our YouTube vlogs. We’d also love to see what your Elves get up to, too - be sure to tag us!